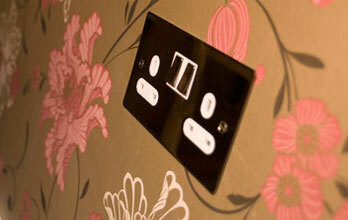 (a)	All electrical installation work will comply with BS7671:2008 and any amendments in force at the time of the works. (b)	All electrical installation work will comply with applicable Building Regulations in force at the time of the works. 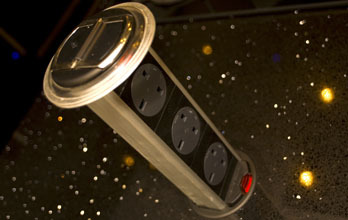 (c)	Where work is to extend or modify existing circuits or where any new equipment installed by Dan Tucker Electrical Services is in any way reliant on the customers existing equipment / installation, costs quoted assume that the existing installation is in an adequate condition and complies with minimum current regulations. Any works found required to bring the necessary parts of the existing installation up to standard will be at additional cost. (d)	Unless stated otherwise, all cables will be concealed by chasing into the building fabric or concealed in building voids, under floors, etc. Where impracticable, cabling will be neatly surface run, either clipping direct or housed in trunking / conduit. The latter will incur additional charges. (e)	Where carpet or flooring coverings may require lifting to allow concealed installation work, no charge is made for this service unless tools or specialist equipment is required, with	best endeavours being made to avoid damaging them and to refit them to an acceptable standard. However, consideration of employing a specialist fitter may be prudent, at your cost to effect a fully satisfactory reinstatement. (f)	Where agreed before hand, chases to walls, etc will be re-filled to 2mm below plaster finish depth, however final finishing of skim coat plaster and final decoration is excluded. (g)	All endeavours will be made to undertake installation work to a clean standard, using dust sheets and vacuum cleaning equipment as necessary. (a)	Clearing and / or moving of furniture and other items blocking access to work areas are not included (unless detailed in the contract) and work areas MUST be cleared before start date detailed on contract. If we are unable to commence work due to obstruction then an abortive charge to cover reasonable expenses may be levied. This charge is to cover the cost of fuel, travel time, etc. (b)	Except where detailed, builders work (creation of holes larger than 50mm diameter, creation of support structures, etc) are not included, except as outlined in 1d, e and f above. (c)	Re-decoration and final making good is excluded from quoted costs, unless specifically detailed as included. (d)	Removal from site and disposal of rubble, fittings, wiring, materials, general waste and packaging is not included. (a)	All extras and variations must be agreed in writing prior to commencement. (a)	The costs quoted assume continuous and unhindered access to the site by prior arrangement with you. (b)	Unless stated otherwise, the costs quoted assume standard working hours between the hours of 09:00 hrs - 17:00 hrs Monday to Friday inclusive. Work required outside these hours may attract out of hours premium rates. (c)	Any additional work not covered in our quoted costs will attract additional time charge rate of £35.00 per hour plus materials cost and VAT if applicable. (d)	Should the work schedule be interrupted or prevented by the client or other trades or agent’s engaged by the client then an abortive cost equal to two hours labour will be charged to the client due to the inconvenience of the installer not being able to schedule other works on that date. (e)	All figures quoted are valid for a period of 30 days from the date of the estimate or quotation. (a)	All work where applicable, will be executed fully in compliance with applicable Building Regulations and BS7671 in force at the time of the work, particularly in respect of work in dwellings to allow the legal Part P obligations to be met. Where a Client requires deviation from such regulations, a written instruction and record will be required. (a)	The risk in all goods supplied shall pass to the Client upon delivery. (b)	All goods supplied shall remain property of Dan Tucker Electrical Services until all sums due have been paid in full. (a)	Dan Tucker Electrical Services warrants its installation work to be defect free for a period of twelve months from invoice date. Such cover does not extend to goods not upplied by Dan Tucker Electrical Services, or items subject to normal wear and tear such as light bulbs, cartridge fuses, plug top fuses, etc., nor does it extend to physical damage to products, or any instance where the original installation has been altered or tampered with subsequently by third parties. (a)	Unless agreed in writing, payment in full must be made on completion of the specified works, and cheques are to be made payable to ‘Daniel Tucker’. (a)	The ‘CANCELLATION OF CONTRACTS MADE IN A CONSUMER’S HOME OR PLACE OF WORK, ETC. REGULATION’S 2008’ provides that we give you 7 days from the date of this agreement within which to cancel this contract and thereby incur no charge for the services or goods detailed overleaf. Accordingly we do not have to provide any goods or services until the 7 day period has passed. (b)	Should you wish to cancel this contract within the 7 day period then you must do so in writing either in person or via first class post or email using the contact details overleaf. (c)	You have the right to ask for the works to commence before the end of the 7 day cancellation period. By exercising this right by signing the appropriate box overleaf you are agreeing to pay any reasonable sum for the services or goods supplied up to the point of cancellation. This does not affect your right to cancel the contract at any time during the 7 day period. (a)	Should the client cancel outside of the 7 day ‘Right to Cancel’ period but within 14 days of the commencement of works then they will forfeit the cost of any deposit amount paid. Should the client cancel the contract within 7 days of the commencement of works then they will be liable to 50% of the contract value. These charges exist to protect our business against lost revenue caused by late cancellation of work when we could have taken on another work order. (b)	Should Dan Tucker Electrical Services cancel the contract for whatever reason, then any deposit paid will be reimbursed to the client.